Luxury golf lifestyle brand, Peter Millar is offering a complimentary micro-fleece Crown Seal Beanie on all purchases at www.petermillar.co.uk in the lead up to Christmas. 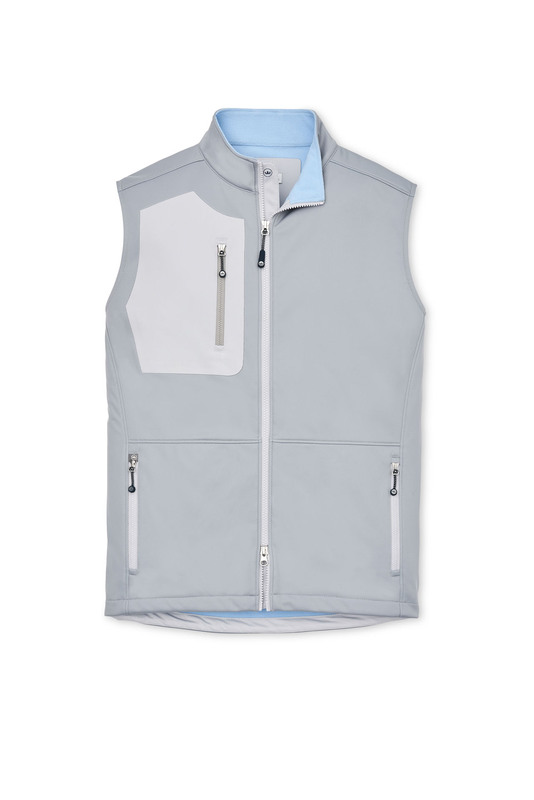 If you’re looking for that extra-special Christmas gift with an added perk that will also appeal to your golfing loved one’s sense of style, as well as meet their performance demands, look no further than Peter Millar. 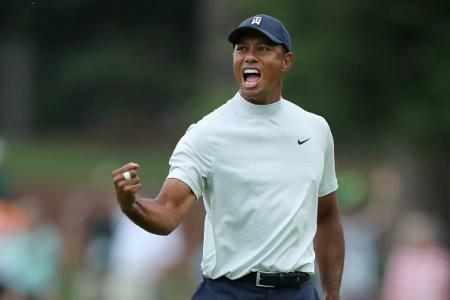 Peter Millar is a luxury golf lifestyle brand for men and women which is owned by Richemont SA, the Swiss-based luxury goods holding company whose brands include Cartier, Van Cleef & Arpels, Montblanc, Vacheron Constantin and Jaeger-LeCoultre. 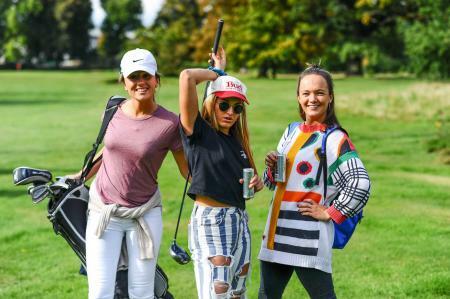 The brand has quickly become the standard bearer in golf lifestyle clothing and accessories for discerning and stylish individuals who demand the very best in fit and performance, both on and off the golf course. Nowhere is this more evident than in the company’s new Fall 2018 Collection which features a diverse range of innovative styles that will keep you looking sharp and comfortable all-season long. Available to purchase direct from www.petermillar.co.uk, selected retailers and an array of the UK’s finest Top 100 golf courses, the Fall 18 Collection features a comprehensive range of luxurious polo shirts, premium knitwear, essential layering garments, waterproofs and accessories for men, women and children. All products can be shipped worldwide. CRESTVIEW PRINTED CORK SCREW PERFORMANCE POLO: This exceptional Crown Sport performance polo is lightweight, breathable, quick-drying and stretches four ways for maximum comfort on the course. The innovative fabric construction features easy-care for a clean appearance at virtually all times. 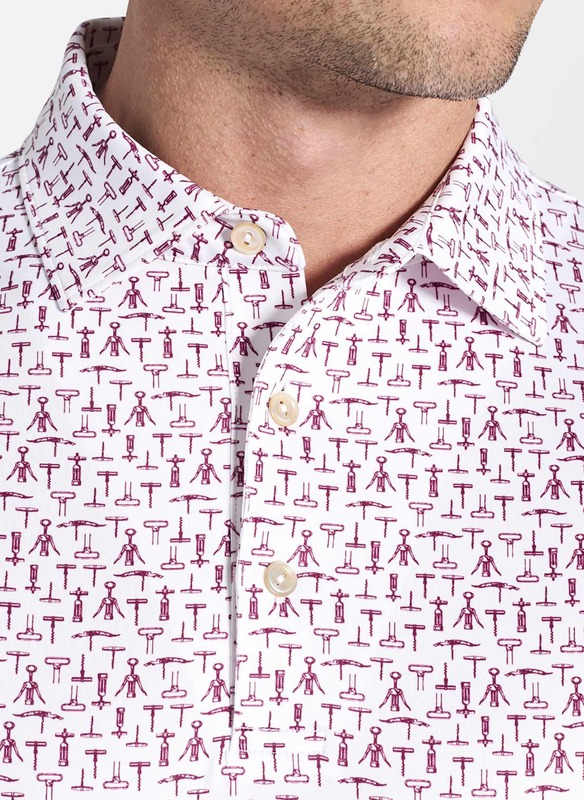 Styled with a unique novelty print and finished with Sean self-fabric collar and a three-button placket. £90 / €105. GALE FORCE - STRETCH SOFTSHELL JACKET: Don’t let blustery weather prevent your next round - reach for the Gale Force Stretch Softshell Jacket. Aptly named, this jacket is constructed from premium polyester stretch fabric and features a breathable polyester membrane. This impressive fabric is windproof, water-resistant and warm. It features an extremely quiet construction and soft hand feel and is finished with a two-way zip front closure, welded zip chest pocket and adjustable cuffs. £150 / €180. 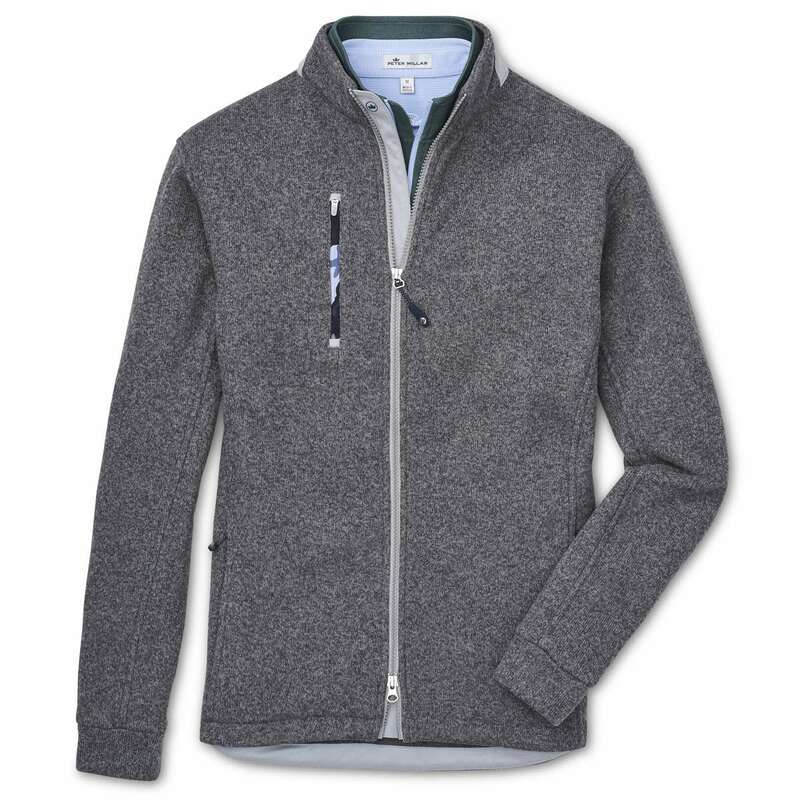 LEGACY - SWEATER FLEECE FULL-ZIP JACKET: This sophisticated jacket is crafted from superior polyester fabric and designed with a sweater knit face and a fleece back for extreme warmth. It features performance benefits like easy-care and quick-dry. The suede detailing throughout provides a sophisticated touch, uncommon in performance styles and is finished with a two-way zip front closure, vertical chest pocket, banded cuffs and open bottom. RRP: £140 / €165. BODDINGTON QUARTER-ZIP: Their Boddington quarter-zip is constructed from an exquisite stretch brushed jersey fabric that’s extremely lightweight and comfortable. This impressive fabric provides a soft, supple hand with a brushed interior. Features performance benefits like moisture-wicking, four-way stretch, easy-care and UPF 50+ sun protection. Finished with an open sleeve and bottom hem. RRP: £100 / €130. 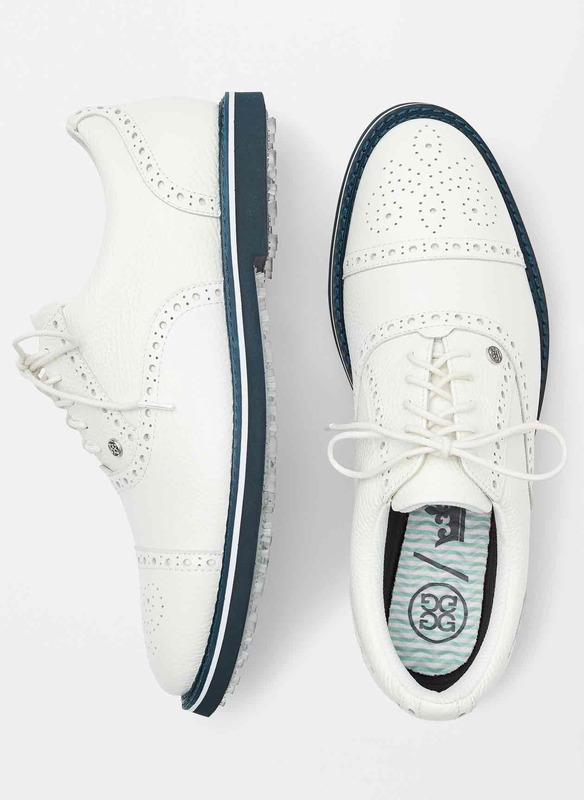 BROGUE GALLIVANTER GOLF SHOE: The Brogue Gallivanter Golf Shoe is the result of their partnership with G/Fore. This style is expertly crafted from premium waterproof leather that looks incredible, while also being able to withstand the elements you face on the golf course. We designed this Oxford-style shoe with an ultra-soft footbed and padded collar for superior comfort. Features include anti-microbial triple density foam cushion Ortholite sock liner and signature cleat design for optimal on-course traction. £195 / €235.